Pain in never normal. It is always a symptom of an underlying illness or condition. If it lasts for 3 months or longer, it is classified as chronic, which appears in such diseases as arthritis, diabetes, congestive heart failure, stroke, and emphysema. As we age and develop certain illnesses that have no cures, we become susceptible to chronic pain. 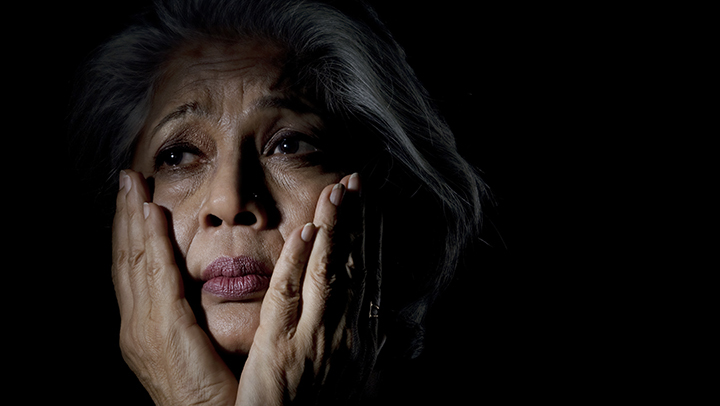 For older adults, chronic pain can be crippling and decrease the quality of life. It leads to unreasonable economic and social impositions causing personal hardship. Many elderly do not report chronic pain to their healthcare provider for fear of having to undertake expensive and invasive tests, receive therapy, take medications and ultimately risk losing their independence. Chronic pain leads to social isolation and depression, as the individual is reluctant to ask for help with even the slightest activity of daily living. The quality of much-needed sleep is also compromised by pain due to the frequent awakenings from movement. This exhausting cycle of pain, decreased sleep, and the inability to cope and depression seems never to end. Because the elderly are hesitant to report pain to their healthcare providers it is often difficult to actually diagnose a problem. Comments like, “Well I’m on this side of the ground!” and “Old age is just simply painful!” make healthcare providers extremely frustrated since they have no subjective symptoms to base a diagnosis. Encouraging the elderly and their family to write symptoms down and the frequency of occurrence is most helpful. The plan of treatment for chronic pain is to establish a realistic comfort goal, which empowers the individual to have control and manage their condition. Many medications are available to treat chronic pain. However, the elderly do not tolerate many of the side effects that accompany certain pain medications. There are drugs and drug classes that should be avoided in persons over 65 years and older due to unsafe side effects to vital organs. Similarly, there are drugs that shouldn’t be used by older adults with specific medical conditions. Because of this, most healthcare providers try to avoid prescribing harsh and or narcotic pain relievers, which can cause numerous side effects in the elderly. Compliance with taking pain medications also poses a challenge with the elderly. Many seniors feel they should only take the medication when the pain is unbearable. Research has proven that most 75-80 year-old men believe that aspirin and Tylenol are only used for headaches and not for any other pain thus refusing to take it for chronic generalized pain. It is important for the elderly to be taught that they will not become addicted if they stay ahead of their pain by taking a non-narcotic analgesic. Some older adults refuse to take pain medication because of constipation or other adverse side effects. Changes in dietary and fluid intake may prevent these side effects. Some older adults prefer not taking any medication for pain but experience relief by massage, heat and cold therapy, and water therapy. This should be encouraged since it not only empowers the elderly to be involved with their pain management but also prevents any adverse side effects from medications.